One man continues to inspire billions of lives fourteen centuries after he lived. God had chosen Muhammad as his final messenger, the last in a line of many prophets before him, like Abraham, Moses, Joseph, and Jesus. All had brought the message of worshipping One God, of enjoining good and forbidding bad. But this message had become corrupted by men, and the moment had come once more to bring people back towards the truth. The Quran emphasised the belief in the Oneness of God, related the creation of the heavens and the earth, stories of past prophets, the equality and sanctity of humanity, and the etiquettes of human behaviour. Muhammad had a great task ahead of him. In preaching God’s word, he would come face to face with rejection, abuse, humiliation and even banishment from his own people. He had to overturn his society’s backward practices, instructing them to embrace a set of universal principles that would unite all the tribes, provide a benchmark for justice, would eradicate racism, encourage them in acts of charity, protect the vulnerable, abolish the rigid class system, raise the status of women to an honoured position, and bring everyone back to the belief in one God. But the leading tribe of the Meccans, the Quraysh, were staunch in their opposition. Muhammad had a small group of companions who believed in his message, and these supporters would be targeted by the Quraysh who embarked on a campaign of torture. The first to die for Islam was a woman named Sumayyah, who after enduring the cruelty inflicted on her, was finally stabbed to death. She is a woman held in high esteem by Muslims for her steadfastness and strength of character, and one of the few guaranteed Paradise. It was now 615 and the situation for the Muslims had not improved. Muhammad heard of a just and compassionate ruler in Abyssinia, a Christian king who might offer refuge for the Muslims and sent 100 Muslim men and women to be placed under the king’s protection. Muhammad did not hesitate to turn to those of other faiths for their protection, he trusted and worked with others who had moral standing and dealt with justice no matter what their faith or background. His own uncle, Abu Talib, whom he loved and respected greatly was not a Muslim, but he offered invaluable support to his nephew. The Quraysh, unable to break this small but growing band of Muslims, who were growing in number by the day, resorted to banishing them, forbidding any tribes to help them. Tribes depended on each other for sustenance, trade and protection in the harsh desert environment, so this embargo would mean starvation, deprivation and vulnerability. 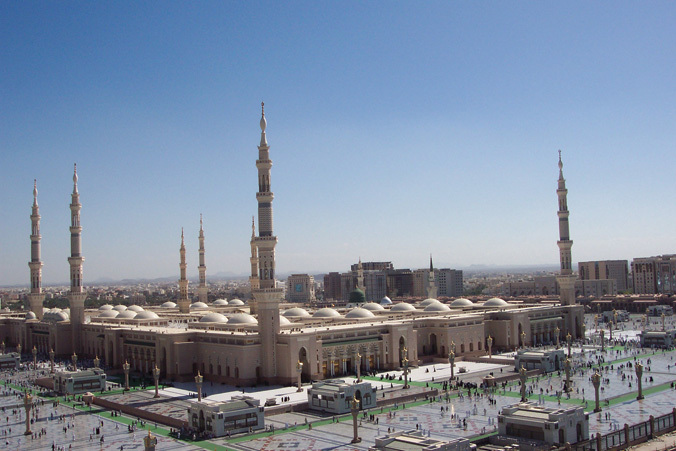 The embargo went on for three years, during which Muhammad and his companions retreated to the valleys surrounding Mecca to live a very difficult life. The ban was finally lifted, but it had taken its toll on the Prophet’s beloved wife, Khadijah. She died soon afterwards in a year known as The Year of Sorrow. Muhammad’s grief was deep. He had lost his strongest supporter and confidante, the mother of his children. The same year, his uncle, who had been his protector, died in 620. Yet his mission was far from over, and he had the duty to continue his message and to protect those who had gathered around him. He thought of moving the Muslims far away from the relentless oppression of the Quraysh. 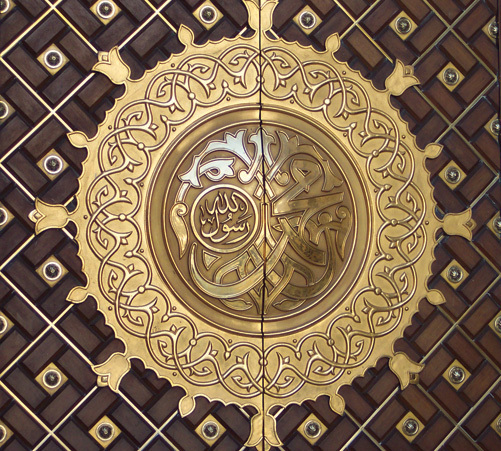 Every prophet has his miracle, and it is said that the Quran was Muhammad’s miracle. Yet the Night Journey joins the many miraculous stories about prophets before him – of Jesus’ birth, of Jonah and the Whale, of Moses’ parting of the Red Sea. Two years after the death of Khadijah, one evening Muhammad fell asleep by the Kaba and was awoken by the angel Gabriel who showed him a white, winged horse. They both mounted and began the journey to Jerusalem where he met a group of prophets; amongst them were Abraham and Moses. Muhammad led them in prayer at the Temple Mount. Then Muhammad again mounted the winged creature with Gabriel and went on a journey that transcended time and space through the seven heavens. It was at the highest level that he received instructions for the five daily prayers. Muhammad was profoundly affected by this spiritual and physical journey, seeing the wonders of the heavens, and meeting the brotherhood of prophets. Yet it was also a trial – when Muhammad recounted his experience, it left him open to more insults and jeers. Yet the lesson remained that true faith meant belief in the unseen and in the miracles of God. "That marvellous and gifted teacher created a vast empire of new belief and new civilisation, and prepared a sixth part of humanity for the developments and reconciliations which later times will bring. For Islam must be conciliated; it cannot be thrust scornfully inside or rooted out. It shares the task of the education of the world with its sister religions." "He must be called the Saviour of Humanity. I believe that if a man like him were to assume the dictatorship of the modern world, he would succeed in solving its problems in a way that would bring it the much needed peace and happiness: I have prophesied about the faith of Muhammad that it would be acceptable to the Europe of tomorrow as it is beginning to be acceptable to the Europe of today." “If ever a man ruled by a right divine, it was Muhammad, for he had all the powers without their supports. He cared not for the dressings of power. The simplicity of his private life was in keeping with his public life."